Let Joshua Fishman educate you! 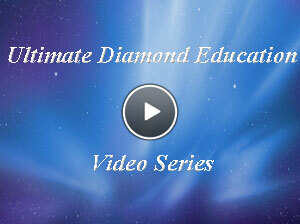 Subscribe to our Ultimate Diamond Education Video Series on YouTube! One New York Diamond Dealer can fulfill your most brilliant jewelry aspirations, whether they’re based on romance, investment or simply a desire for sparkling stones. A. Fishman & Son is your perfect loose diamond source, offering outstanding quality, personalized service and dedicated customer care as a diamond dealer in New York. We have extensive experience and a sterling reputation in every facet of the jewelry industry. Let us share in your dream of the ultimate diamond engagement ring, wedding ring, anniversary ring, or other once in a lifetime purchase. We own all of our loose diamonds. A. Fishman & Son is more than just a diamond “dealer” or “wholesaler.” A. Fishman & Son is a direct importer, cutter and manufacturer of loose diamonds. We’re also diamond jewelry specialists producing engagement rings and fine diamond jewelry in our own factory. By consulting with and seeking reliable advice from a dependable New York Diamond Dealer, you can avoid the mistakes that are often made with diamond or fine jewelry purchases, mistakes that can cost you money and peace of mind. Let us guide you to that dream-fulfilling loose diamond, gorgeous diamond bracelet, or diamond engagement ring at very competitive prices. We’ll exceed your expectations. Choose a NYC jeweler that communicates with each customer personally before every sale. New York City jeweler Josh Fishman, our owner, is a third-generation diamond expert (a "diamantaire") who relies on the knowledge gained from his father and grandfather before him and his own 30 years of experience. 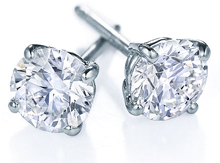 We value our clientele and are here to help you find the ideal diamond for your budget. If you’d like to speak with Josh, he’ll be eager to assist you. They radiate joy and promise. Our engagement rings will take your breath away. We’ll make sure you receive the best diamond engagement ring for your loved one. That’s why we’re your top-rated source for engagement rings in NYC and beyond. No matter where you’re located, you’ll want to learn more about our amazing selection and great values on engagement rings. We are also uniquely positioned to assist you in your custom, one-of-a-kind engagement ring. You can see real examples of our work for our customers by browsing our Diamond Engagement Rings. We can customize any ring you may be interested in to accommodate your diamond or your desired style changes. Our master jewelers can also create your custom ring from photos or ideas you may have.To personally discuss or design your ring, call 718-305-1817 or e-mail us now. 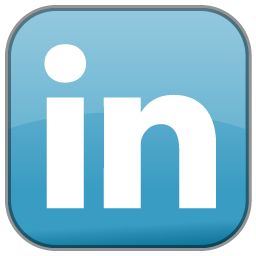 We invite you to browse our site. Learn about loose diamonds from a true authority in the field. Also see our Customer Testimonials and Google Reviews to discover how we fulfill dreams every day. If you have a video camera on your computer, just download the Skype Software and we can talk face to face! Go to www.skype.com to get the software. 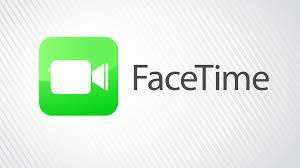 You can also FaceTime with Josh Fishman personally with your iPhone by calling Josh on his iPhone at 914-912-3962 during business hours. This will allow you to see Josh in person so that he can show you the diamonds you may be interested in during a live face-to-face meeting with him. It would be most appropriate to schedule such a FaceTime meeting in advance.